Making a list of best outdoor smart led bulbs 2019 is a difficult job for sure. The cost versus quality argument is the first thing you deal with. All the same, the specs should be your top priority, ideally. 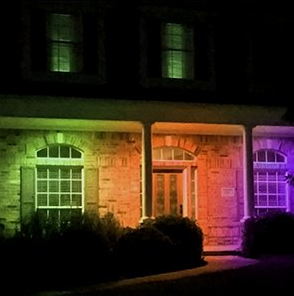 In this review, we will go into every aspect of these outdoor smart led lights and find out whether it’s worth your money. Remote controlled outdoor dimmable smart led bulbs and non-dimmable smart led bulbs. You can use your smartphone, amazon alexa, ipad or any other smart device to control the outdoor smart led bulb. 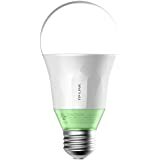 The smart led bulb installs as effortlessly as a standard light bulb and connects very fast to your home Wi-Fi or any other smart device you choose to control it with. 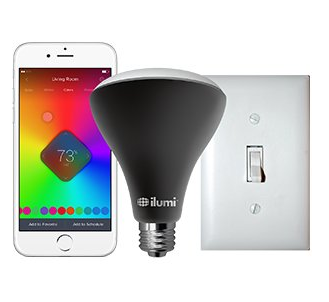 I`ve played around with more than 20 smart light bulb systems over the years and after all that, I determined that the 5 I listed here is the best all around smart LED bulbs. 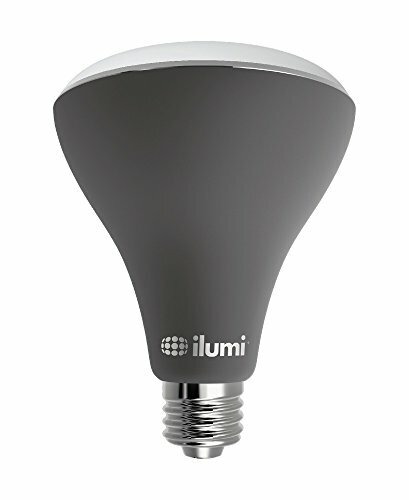 If I must pick one bulb that is my favourite, I got to go with the Ilumi Outdoor Bluetooth Smart LED. 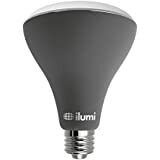 With Ilumi you can change your lighting color super easily and it also does everything the other smart light bulbs do, and it is also part of a wider product and app-system, that gives you more room for flexibility and creativity than any other smart bulb I have used. It is not the cheapest bulb I used, but its reliable performance and wide usability does make it a good choice for any smart home. Not everyone wants to drop $50 or more on a led bulb smart light. The TP-Link bulbs will shed light for a fraction of the price. 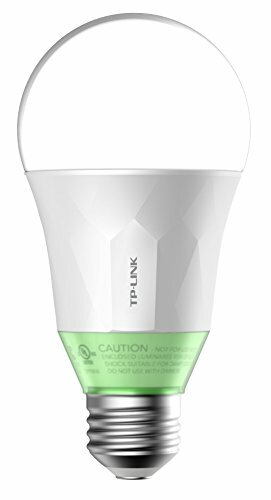 The TP-Link Smart LED Light Bulb is a versatile clever little light source. This is the 60 Watt Equivalent, 2700K Soft White type bulb review. 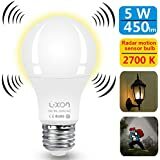 Outdoor smart led bulb features? What`s so smart with these outdoor smart led bulbs then? Let`s have a look what they can do. You can control your lighting from anywhere. You can manage your lights with your tablet or smartphone in no time with the free (Kasa app) or another app depending of the manufacturer, TP – Link uses the Kasa app. What other tricks does the smart outdoor led light bulb got up its sleeve? If you don`t feel like using your phone or pad for controlling the outdoor dimmer, then you can try the voice control, you can use your voice to control the bulb when paired with Amazon Alexa. Well there´s really no complex installation procedure, just screw in the new led smart bulb and wait for it to blink 3 times, and finish the set up by using the TP-Link Kasa app. Although it’s not inexpensive, this outdoor smart led bulb offers a few impressive features for the price! Want to sync your ilumi smart led light bulb to music? Bring the music and party to new heights – Yes this bulb can be synced with your music, so you can shake it til the break of dawn. 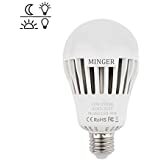 Best color changing led bulb? Just use the free ilumi app to sync your led lights to your music from your phone or pad to get synchronized color effects to every beat for amazing outdoor parties. You can choose from 16 million different colors and if that`s not enough, there`s also 2000K to 8000K in white color range. Plus you can add more smart lights for even bigger effects. Does this smart led bulb work with a tradional light switch? Yes it does and because each light has a built in clock and battery – it remembers its colors and schedule even when used with a traditional light switch. Want a weatherproof smart led color bulb? The ilumi outdoor flood light carries an IP64 rating specifically for use outdoors so you can keep lights on – Rain or shine. It`s built to withstand snow, thunderstorms, sprinklers and because of that you can place it nearly anywhere outside. And if that was not enough – It also has UV Coating to protect it from the sun. The manufacturer has really thought about everything with this led. 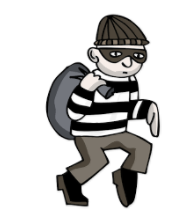 Are you going away and are you worried about the safety of your house? Just switch on the vacation mode and your ilumi led outdoor smart light will turn on and off at random while you are away. Ilumi outdoor led light is not just a smart bulb; it is a complete smart system. 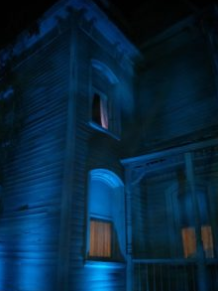 The color-adjustable E26 / E27 base bulbs can remake the look of your home`s exterior in seconds. Multiple app options and device compatibility makes it one of the best overall choices. 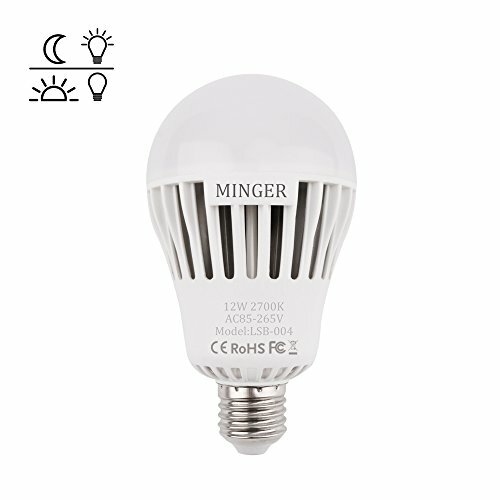 The MINGER Sensor Light Bulb has been my choice for led light on installation jobs where the customer wanted something cheap but reliable. With this led, you get the automatic switch on at dusk and off at dawn. It does not really get any easier than with this led bulb. The led turns on when it gets less than 15Lux and it turns off when there is more than 40Lux. The built in sensor works great and it`s a hazzle free product. You’ll install it fast and easy – just simply screw into any standard E26/27 light fixture or socket. No worries with wires or additional motion detection fixtures. 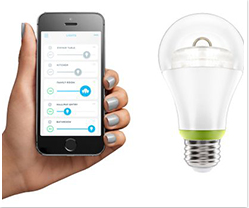 The sensor is not rotable, as in almost all smart bulbs, but that is not a problem. From experience I can tell that the bulb works fine even in outdoor fixtures with bubbly glass, so the sensor is really high quality. This 12W led bulb is equivalent to a 100 watt incandescent bulb and it`s mercury free too. If you want a bright light this should be your choice. There is also a 7W version available. Be sure to watch out for knock-off imitations that are popping up as of late. 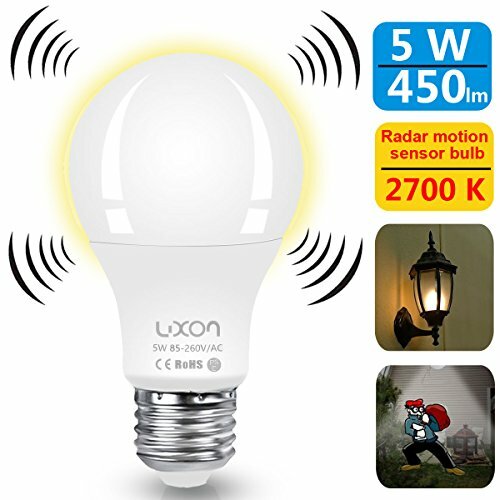 The Luxon 5w is unique in that sense that it is equipped with LED RADAR SENSOR. The motion sensor bulb is a radar sensor light bulb, it’s much more responsive, sensitive, more penetrating than infrared sensor led. And because of that, the Luxon led light bulb can penetrate: glass, veneer and walls to detect the motion within 19-26ft. You can install the led in any angle you want- upward, downward, it will still operate perfect because of the built in smart radar. The led radar bulb can also detect the pets, therefore the radar sensor bulb will turn on when it is detecting any small object that is moving. Plus it has the dusk to dawn sensor. The packaging is sturdy with the bulb protected well in a plastic mold, so you don`t need to worry for a defective product on arrival. 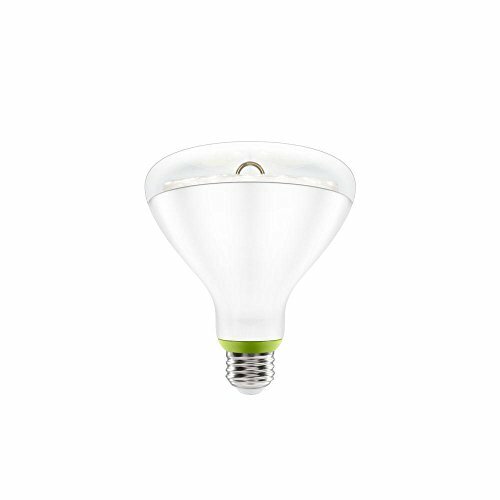 The entry-level GE Link smart bulb (which can often be found for $20 to $25) gives you the most brightness for your money , it puts out 900 lux and the color is quite warm (3000K Bright White). The dimmable GE outdoor led bulbs is good option, if you want to dim outdoor lights but don`t want to use a dimmer switch to dim with. Do you need programmable led lights? How to program led lights? It`s easier than it sounds. One smart thing with these LEDs are the shortcuts you can create. You can make scenes, shortcuts for example: “Watch a movie” or “Reading in bed” with your phone. You just click on your prefered shortcut and you can make lights dim, brighten, turn on and turn off. If you don’t need a color led and the millions of colors to choose from, then this GE led is a perfect choice. Do led lights work in cold weather? Absolutely! And this GE bulb performs well in cold climate. 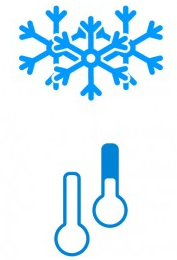 Do you get below freezing temperatures on numerous nights during winter? 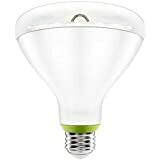 Then you want a led bulb that has a longer life and not a incandescent bulb and another great thing about this GE link smart bulb is that it lasts 22 years with an estimated energy cost of only $1.57 per year. The advantage of LED is the extra long lifespan and plus they have no problem to light up in very cold temperatures. In fact, LEDs get more efficient as the ambient temperature gets lower. How to install the GE link led bulb? With all that specification information out of the way, what do you need to get up and running with these bad boys? It is also compatible with amazon Echo, smartthings hub or any other zigbee rated device. Setup your Wink Hub. You can do it easily through the Wink app. Just enter your Wi-Fi information, then automatically send that to your brand new hub and then it will be good to go. 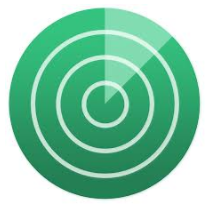 One more important thing to check is that after connecting your Wink Hub, be sure to check for updates. People often forget checking for updates and that can cause problems when trying to pair the bulbs (I learned it the hard way). Once you got that out of the way, you just add your bulb. Wink has comfortably added a GE Link option to the list of supported lighting options. Just select that and it will walk your through the setup and then you basically screw the bulb in and turn the light on. It will blink 3 times and then you can name it.